Congratulations to our Grand Prize winner, "Tammy Y. ", and our runners-up, "Meredith W." and "Cheryl M.". Thank you to all who participated! 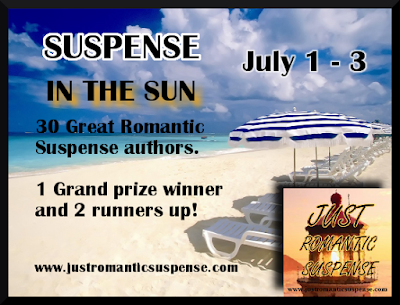 From July 1-3 everyone has an opportunity to experience SUSPENSE IN THE SUN on JUST ROMANTIC SUSPENSE! 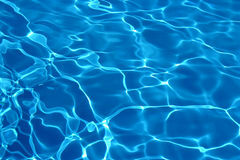 On July 4th, one grand prize winner will be able to select 10 titles of their choice from the Pool. Giveaway ends 11:59pm EST July 3rd. Please note the author's individual restrictions. Ice cream has to be my favourite summer treat. Thank you for the giveaway! My favourite summer drink is iced tea. I've been icing a bunch of different types and it's fun to experiment. Adding frozen strawberries it's a great way to add a bit of extra flavor. A backyard cookout! Burgers & dogs, corn on the cob, watermelon, etc. Iced coffee is my favorite summer drink. I make a big batch every morning. Thanks for the chance to win. This would solve all my summer read at the beach problems!!!! I love cucumber lemonade, sometimes with mint. So refreshing! BBQ!!! With a nice tall glass of cold sweet tea :) thanks for sharing! My favorite summer drink is a margarita on the rocks. Happy Summer! I love making soda floats! My favorite summer food is fresh strawberries. The veggies from the garden especially the cucumbers, tomatoes, and zucchini. I love a good lemon ice tea in the summer or fresh pasta salad. Thank you for the awesome giveaway. Favorite summer drink iced tea and meal steak with salad and baked potato. I've been putting unsweetened cranberry juice concentrate, stevia, and my minerals in ice cold water and drinking them down. Healthy and refreshing!!! Some lime on the rim is good, too, by the way!!!! Summer drink - Italian Cream Sodas. Summer food -- grilled veggies! Sangria! The fruit counts as a meal too, right? Awesome giveaway! I love watermelon, strawberries, and corn on the cob in the summer! My favorite summer drink is sweet tea. My favorite summer drink would be iced tea - different flavors. Very exciting giveaway. My drink of choice is McDonald's Coke with no ice. In a pinch I will drink Pepsi if it is in a bottle. No cans for me. My favorite food is always steak & shrimp. At a restaurant or on the grill at home I am just as satisfied. My favourite summer drink is lemonade! Always good with homemade burgers in the BBQ! Thanks for the contest!! Watermelon is my favorite summer food! Thanks for the wonderful giveaway! I love to drink strawberry lemonade in the summer and I just love grilled chicken kabobs with lots of fresh veggies. I've just discovered Mocha Iced coffee. I can't get enough of it now. Anything I didn't cook or make! I'm looking forward to reading a few new books this summer!